Home » Reviews » It is a priceless adventure! 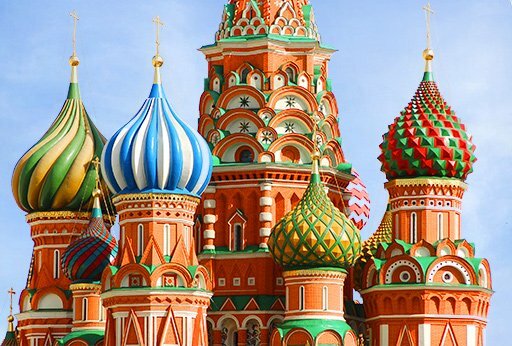 On behalf of myself; husband, Larry; son, Jason; and daughter-in-law, Elena, I would like to express our thanks and gratitude to you and many other folks at Travel All Russia for a wonderful trip. We returned home on Saturday evening and looking back, I have nothing but praise for the tour (Luxury Small Group Tour, Treasures of Two Capitals) arranged by Travel All Russia to Moscow and St Petersburg. Let me begin by saying, at first I was a bit apprehensive about the trip and also the tour company which I had never used and was not known to us. But the help, suggestions, opinions, and professionalism are all invaluable to me. I was able to arrange this trip entirely online with a few phone calls due to prompt response and information. The team is very knowledgeable and always ready with responses, suggestions, and problem solving. As you recall, we spent our first week in Izhevsk meeting our daughter-in-law's family, then to Moscow to begin our tour. I commend you, the passport/visa department, and the logistics department for very smooth seamless arrangements. We had absolutely no problems and no surprises other than good ones. Everything was as depicted in your brochure! Our guides in Moscow, St Petersburg, and @ Catherine's Palace were excellent! They were all well versed in the sights and history of the cities and landmarks. They all were very caring and personable and did a wonderful job and are certainly an asset to Travel All Russia and wonderful ambassadors for the Russian Federation. We really enjoyed the small group (14) experience for many reasons. We became friends over the week with the folks from Perth and Brisbane, Australia; Montreal, Canada;, Westchester County,New York; and Washington DC. The group size made it easy to see, hear, travel, etc. It was perfect. Everything, and I do mean everything, was absolutely on time as scheduled. All our drivers took good care of us and no matter the mode of travel, we always were where we needed to be when we needed to be there. Our hotels in Moscow and St Petersburg were lovely and I enjoyed the stylistic differences of the hotels. They were conveniently located as advertised and all of our meals were delicious and in outstanding restaurants. We also enjoyed the Sapsan train ride. Very nice way to travel. Our deluxe tour was truly deluxe. Again, thank you for your effort and help in preparing a wonderfully memorable trip for us. We are blessed with striking memories of Russia and her people. The four of us appreciate the add on arrangements you prepared for us which worked well and was easy and enjoyable. Thanks to Travel All Russia for an outstanding experience and opportunity to know the Russian people, their history, and their culture. It is a priceless adventure! I highly recommend your company and this tour.